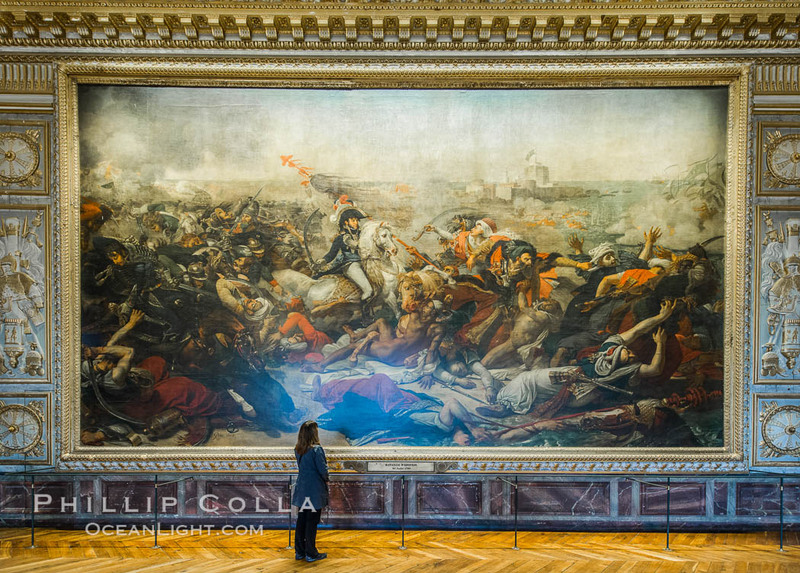 The Battle of the Nile, also known as the Battle of Aboukir Bay (in French as the Bataille d’Aboukir), one of the enormous, gorgeous paintings we saw at Chateau Versailles outside of Paris. 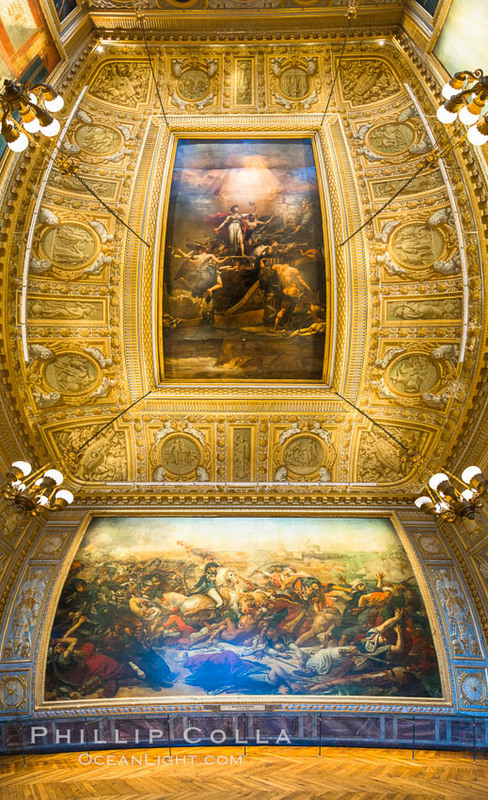 The second image is a “vertorama”, a vertical panorama showing not only the painting but also the ornate ceiling artwork, typical of the apartment ceilings at Versailles. The Battle of the Nile, also known as the Battle of Aboukir Bay, in French as the Bataille d’Aboukir. The Battle of the Nile, also known as the Battle of Aboukir Bay, in French as the Bataille d’Aboukir, panaramic photo showing wall and ceiling detail. You can also see many other panoramic photographs I have made over the years, some are pretty cool! Cheers and thanks for looking!